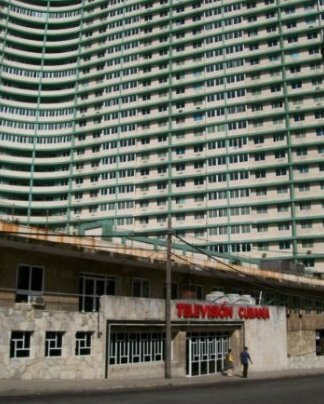 The FOCSA building is located at 17 and Malecon in the area known as El Vedado. It is considered one of the seven wonders of civil engineering. 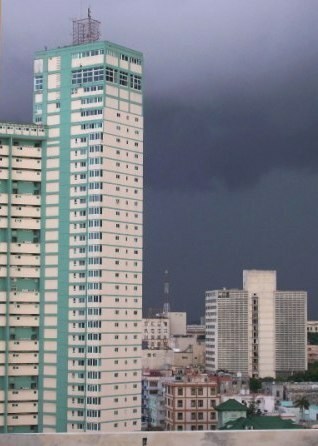 It took nearly two and a half years to complete and caused a sensation in Havana when finished. When the building was a success, many more tall buildings in the city soon followed. and a shopping center serving building residents and the public. There is a bar and restaurant on the 33rd floor with a spectacular 360 degree view of the city below. The restaurant is called La Torre. The engineering team leader was Luis Sáenz Duplace, and the architecture was by Ernesto Gómez Sampera.